Starting a self-storage business in Spain is one of the most attractive franchise opportunities available today. 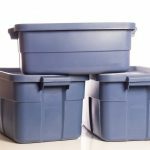 Everyone at some point or another needs to store their belongings. After opening our first uStore-it store in Manilva, Costa del Sol in 2015, the business became so successful we decided to start franchising the uStore-it name in 2016. Although self-storage is still an emerging business in Spain, it has proved to be one of the most successful business start-ups in Europe over the past 12 months. With stores now in Manilva, La Linea and Duquesa, we have started to offer franchise opportunities throughout Spain. Locations include Costa Blanca, Costa Brava, Costa Dorada and all major Spanish cities, such as Madrid, Barcelona and Seville. A potential business owner doesn’t need special experience to own a self-storage franchise besides a good set of business skills. Some of the services our franchising opportunities offer are storing goods for families and individuals wishing to relocate. While our units are available to store a range of possessions, from furniture to commercial goods. Self-storage businesses offer security and peace of mind for consumers needing a dependable place to store their belongings and a successful business model for franchisees. 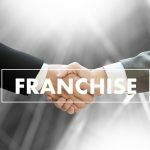 Find out how you can start your own franchise business today with self-storage units in spain , please fill in the enquiry form below and we will send you will more information.